Fernando Alves Santa Clara or simply Fernandinho is a Brazilian left-back. Fernandinho began his professional football profile with Vitória in 1999. After impressing with the Brazilian side, he joined Portuguese side FC Porto in 2002. Following a brief stay in Portugal, he returned to Brazil joining Campeonato Brasileiro Série C side Joinville and in 2003 played for Caxias. He then moved up joining Campeonato Brasileiro Série A Club Paraná and started demonstrating his offensive prowess, scoring 7 goals in 41 matches. In 2004 he joined Criciúma which was playing in Série A and recorded 14 matches scoring 5 goals. Fernandinho was then loaned to top side Vasco da Gama and appeared in 18 league matches scoring 3 goals. 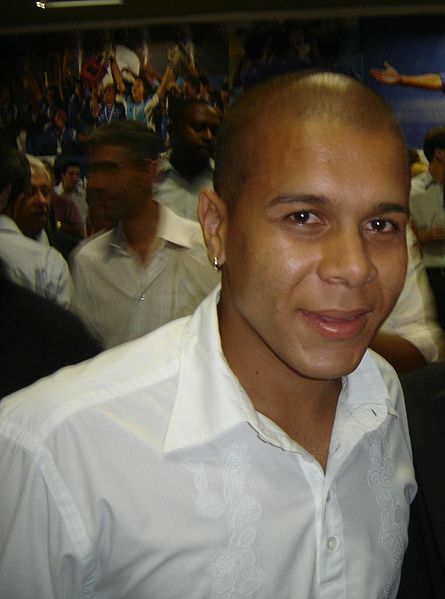 In 2007 forCriciúma he added another 10 goals in the Campeonato Catarinense. n June 2010, Fernandinho was announced as Atlético Mineiro's new player. He joined Vitória, where he began his professional career, for a second spell on 23 May 2011. Manchester City: 5 Fernandinho Replacements Man City Should Keep An Eye On! Premier League 2018-19: Will signing Frenkie de Jong make Manchester City truly unbeatable?